Practice Food Quantities (Partitives - a piece of, a slice of, a bottle of, a bar of) using this ESL partitives game. This game is also excellent for classroom teaching. Teachers can engage students in a classroom vocabulary review for elementary ESL, EFL Learners. It can be used to energize a dull class, to review work that was done or simply as a reward for good classroom work. Fun activity to practice phrases like - a piece of, a slice of, a bottle of, a bar of. 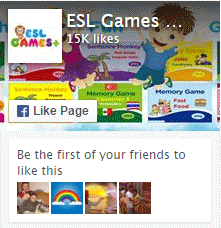 It is especially useful for teaching ESL Beginners and Elementary levels. Have fun teaching and learning English!